Photo courtesy of PA News Media Association. Camille Cosby enters Montgomery County Courthouse with Bill Cosby during his assault trial in April. 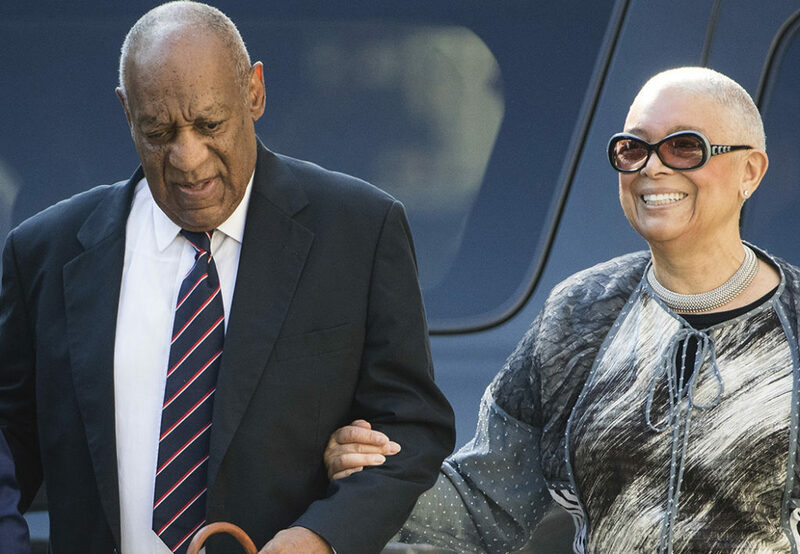 Camille Cosby has filed an official complaint about her husband’s judge to the Judicial Conduct Review Board of Pennsylvania. 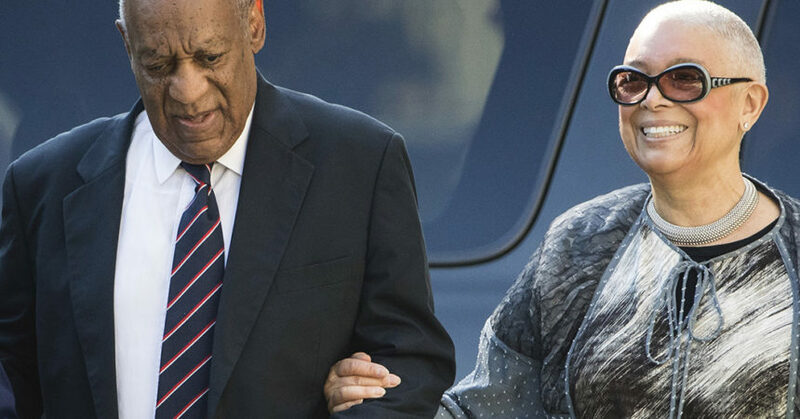 One week before iconic comedian Bill Cosby faces sentencing in his assault case and just a week after defense attorneys filed a motion asking for Judge Steven T. O’Neill to recuse himself, Camille Cosby arrived in Harrisburg, Pa., seeking relief. “The public, and Mr. Cosby, were entitled to know about Judge O’Neill’s bias before the judge made these rulings,” Camille Cosby said. The former D.A. Bruce Castor told NNPA Newswire that he was “disgusted” by the prosecution of Cosby after himself promising the legend years ago that if he sat for a deposition and waived his right to remain silent, his words could never be used against him by any future D.A. The current D.A., Kevin Steele, ran an election campaign on the grounds that he was going to “get Cosby,” and received the support of Cosby accuser Andrea Constand in his campaign bid. “What is happening to Cosby, as bad a man as he undoubtedly is, should never happen to anyone in America,” Castor said. “I’m 36 years in the justice system, much of it at a pretty high level and I’m disgusted that any citizen entitled to the presumption of innocence has been treated this way,” Castor said. Legal experts also have expressed concern that O’Neill refused to rule on whether the 12-year statute of limitations in the case expired, thus avoiding any prosecution of Cosby. Instead, he sent the matter to jurors, who didn’t appear to consider it. Last week, Cosby’s attorney Joseph Green filed a motion aimed at getting O’Neill to recuse himself and appoint another judge to consider the case. Green argued that the case has to go back to when it started in early 2016 when Cosby repeatedly sought to get the charges thrown out and the judge to step down. O’Neill repeatedly denied his motions. Green said recently uncovered facts suggest O’Neill was biased against Cosby from the beginning due to a long-standing political feud with Castor that the judge failed to disclose after he was assigned the case. The feud stems from a late-1990s political campaign between Castor and O’Neill in which Castor supposedly engineered a campaign dirty trick that damaged O’Neill’s professional reputation, Cosby’s motion asserts. This colored O’Neill’s rulings against Cosby’s motions, Green argued because Castor was an important witness who testified about why he decided not to prosecute Cosby on the Constand accusations in 2006. “During the hearing, Judge O’Neill actually took over the direct examination of Mr. Castor, questioning him at some length before issuing a ruling that rejected Mr. Castor’s sworn testimony and wrongfully allowed the case to proceed,” the Cosby lawyers said in a statement. “There is no way to view the judge’s conduct in this case as being consistent with the constitutional right to a fair trial,” the statement said. A number of legal experts from Philadelphia, Delaware, Washington and as far away as Sacramento, San Francisco and Winnipeg, Canada, said O’Neill should recuse himself or at least postpone the Sept. 24 and Sept. 25 sentencing hearings he’s scheduled. Camille Cosby’s appearance at the Judicial Conduct Review Board isn’t insignificant. According to Pennsylvania rules, when the Board receives a complaint, the Board’s staff makes a preliminary inquiry. 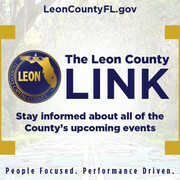 During this stage, you and other witnesses may be interviewed, and documents other than those provided with your complaint may be reviewed. Once there is sufficient information to conclude the preliminary inquiry, the full Board will review the complaint. Dismiss the complaint because there is not “clear and convincing evidence” of judicial misconduct; or if the Board believes that there is “clear and convincing evidence” of judicial misconduct, it may file formal charges against the accused judge with the Court of Judicial Discipline.